JNTUA 10th Convocation Notification: JNTU Ananthapuramu has announced Tenth Convocation Notification for all UG, PG, M.Phil and Ph.D candidates who are qualified for the award of Degree during the Academic Year 2017-2018. The qualified candidates can apply original degree (OD) through Online or Offline. The Tenth Convocation of the Jawaharlal Nehru Technological University Anantapur, Ananthapuramu is scheduled on 27th February 2019 (Wednesday) at 10.00 AM in the NTR auditorium, JNTU Anantapur, Ananthapuramu. The Tenth Convocation of JNTUA, Ananthapuramu will be held in the month of December/January, 2018/2019. All UG, PG and Ph.D./M.Phil. candidates who are qualified for the award of degree during the Academic Year 2017-18 are hereby informed to apply through online or send the filled in applications in the prescribed format to the Controller of Examinations, JNTUA on or before 21-01-2019. Only Ph.D./M.Phil. awardees and Gold Medallists will receive the degrees on the dias and others will receive their degrees through registered post. Further details can he seen in the web site: www.jntua.ac.in under University examinations. 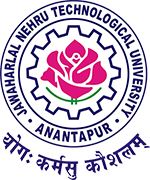 The TENTH Convocation of the Jawaharlal Nehru Technological University Anantapur, Ananthapuramu will be held in the month of December, 2018/January 2019. All UG (B.Tech/ B.Pharm/ Pharm.D), PG (M.Tech/ M.Pharm/ Pharm.D (P. B)/ MCA/ MBA/ MS/ M.Sc), M.Phil and Ph.D candidates who are qualified for the award of Degree during the Academic Year 2017-2018 are hereby informed to apply through online including online payment using Net banking, Debit and credit cards or send the filled in applications in the prescribed form to the Controller of Examinations of the University on or before 21.01.2019 (Monday). To apply online including payment, click on the link ‘APPLY ORIGINAL DEGREE‘ in the university website: www.jntua.ac.in or directly visit the URL:http://210.212.214.167/originaldegree. To apply offline, format of the application can be downloaded from the University website under “Examinations“. The filled in application form along with a DD for Rs. 2000/- (Rupees Two Thousands only) drawn in favor of the Registrar, JNTUA, Ananthapuramu payable at Anantapur dated not earlier than 09.11.2018 is to be sent to the following address either by speed post or in person. Payment can also be made through SBI challan towards account number 32950804752 (Power Jyothi Account) or Andhra Bank challan towards account number 225410100000131 and the challan forms are available in the website. Ananthapuramu – 515 002 (A.P). The candidates, who have applied through online need not to send their application by post. The Degree Certificates of all B.Tech/ B.Pharm/ Pharm.D/ M BA/ MCA/ M.Tech/ M.Pharm/ M.Sc/ M.S / Pharm.D(P.B) courses will be sent to the individuals to the address given in the application form by speed post. Gold Medal recipients and Ph.D/M.Phil awardees can receive their degrees on the dais. The date and venue will be notified shortly. I am a 2018 passed out student and I have applied to my Original Degree through online ,in december 2018 . I didn't get any reply or post .But the status is still showing as paid ,when it will be verified and dispatched ? Can anyone suggest me what to do? Hello, I want to apply for original degree certificate through online. I am 2014 passed out and want to apply it now as i require it urgently. How much time will it take to receive my original certificate? can you please help how to solve the issue and how much i need to pay? Sir I completed my MBA in annamacharya pg college of computer studies at rajampet I passed in 2015 July.So I want to apply the convocation what is the next notification or else any time is there. Sir I completed my MBA in pvkk college at Anantapur I passed in 2018 July.So I want to apply the convocation what is the next notification or else any time is there. Could you please inform that, when will be the OD are dispatched, and how many days will get our OD’s if we applied through online. I have Applied my OD through online. My application date is 06-12-2017. With in how many days will get our OD’s if we applied through online? i have completed my M.Tech in 2016. can i apply for the OD. Is there any other process to get the OD in normal days.